We’ll be remembering and celebrating the most powerful and transforming event in history – the death and resurrection of Jesus Christ. Join us on Friday 19th April at 10am for our one-hour Good Friday service. 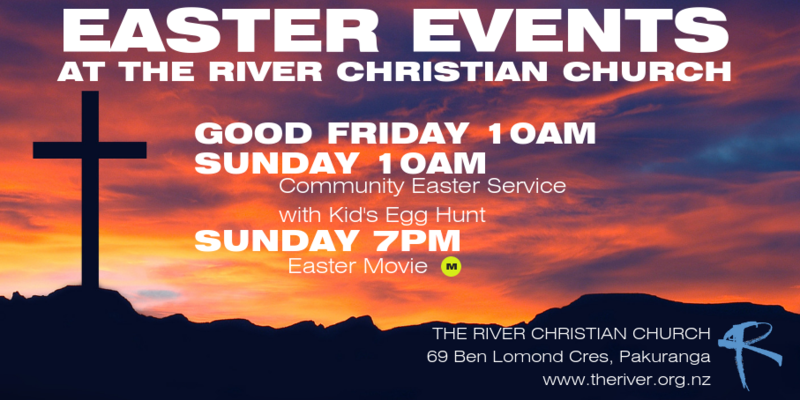 Then on Sunday we’ll be celebrating Jesus’ resurrection at our 10am service, and on Sunday night – we’ll be playing a special movie right here at church. Bring a friend and a beanbag!